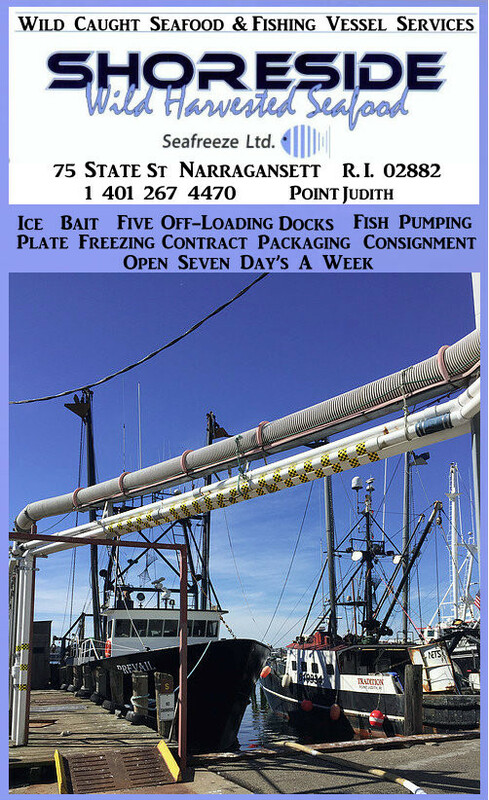 NCFA – UPDATES ON COMMERCIAL FISHING NEEDS AND ICE AVAILABILITY INFO ON A HOT SHOWER! Armistead Perry of Evans Seafood and Evans Transport said he has some freezer space available and cooler space if you need to get inventory from your facility to save it. He also can transport from your place to his. His facility is in Washington NC. They also have ice available. 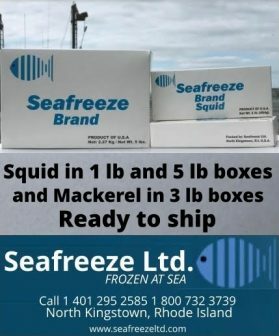 As noted previously, Wanchese Fish Co. has offered the use of their cold storage facility in Suffolk VA for anyone that needs it. 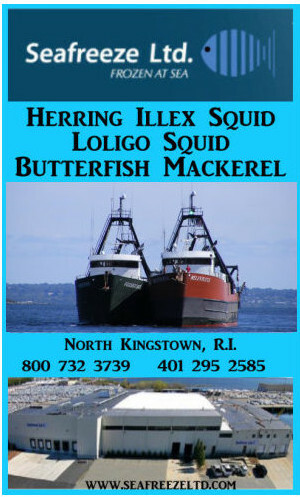 If you have a fish house or packing operation and in need of cold storage to save your inventory, please let us know and we’ll make the connection. They can also arrange for trucking if needed. You can respond to this notice or call me at the number below. If you need help with cleanup or fixing your damaged home, again, please let us know! 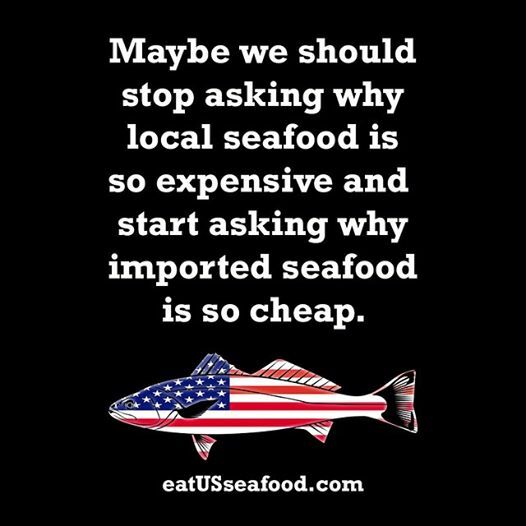 As a reminder, we need as much information on damages the commercial fishing industry has sustained as a result of Hurricane Florence! We need to know about damage done to fish houses, boats, lost gear, etc. 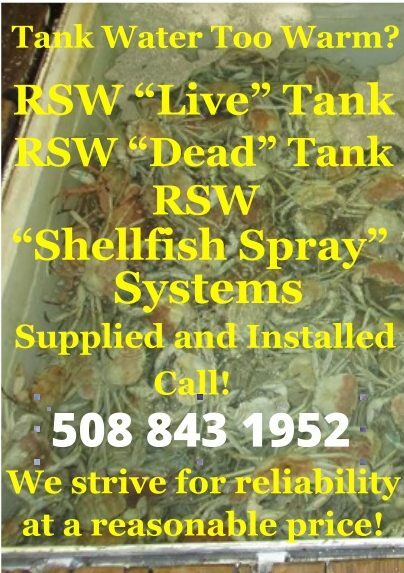 Also damages done to your homes, vehicles, or anything connected to commercial fishing. Regarding our industry helping others, also let us know what you may be able to do to help, such as ice or whatever else you can assist with. We’re not sure how long it will last, but for the moment the best way to communicate is with my email, Facebook, or my cell number. Glenn Skinner and Aundrea O’Neal have communication problems in Carteret County. Our power at our home in New Bern was restored last evening. For ice: take your cooler to Beaufort Inlet Seafood in Beaufort or Evans Seafood in Washington. Need a hot shower? Brent Fulcher of Beaufort Inlet Seafood said you can take a hot shower on one of the boats docked at their facility. DMF news: Offices in Carteret County and Wilmington are closed through Wednesday. 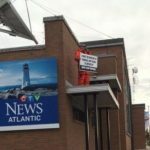 They will re-evaluate on Wednesday if they can open, depending on power being restored and any safety concerns. Elizabeth City and Manteo offices are open. Washington will open today but may not be fully staffed. Seafood month got a great kickoff in North Carolina with last Saturday’s Fisherman’s Village on the Morehead City waterfront, and on Sunday morning at the Blessing of the Fleet. For a message from Chris Oliver, Assistant Administrator for NOAA Fisheries, or NMFS, click the link below. Advisory committee meetings to focus on cobia management measures – Three advisory committees to the N.C. Marine Fisheries Commission will meet on separate dates in October to discuss issues related to the cobia fishery. 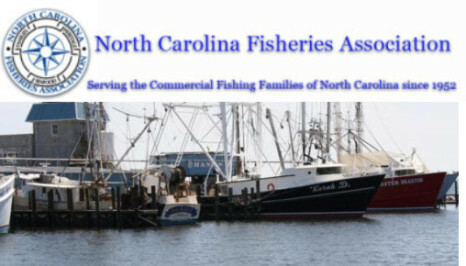 The advisory committees will be asked to provide input to the N.C. Marine Fisheries Commission on management measures contained in the Atlantic States Marine Fisheries Commission Draft Interstate Fishery Management Plan for Atlantic Migratory Group Cobia (Georgia to New York). The Atlantic States Marine Fisheries Commission’s South Atlantic State/Federal Fisheries Management Board will meet Oct. 19 to vote on this plan. The draft plan includes size, bag and vessel limits to complement federal measures. Most notably, the draft plan includes several proposed options for state-specific recreational harvest targets that will give individual states more flexibility in developing management measures to best suit their needs. Currently, the recreational annual catch limit for Georgia to New York is managed on a coastwide basis. 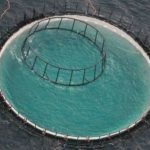 This has resulted in federal closures and significant overages, disrupting fishing opportunities and jeopardizing the health of the stock. The N.C. Marine Fisheries Commission will discuss North Carolina’s recreational cobia management measures at its Nov. 15-16 meeting at the Doubletree by Hilton Garden Inn Outer Banks in Kitty Hawk. The Board of Directors will meet this coming Tuesday, Nov. 11, at 2 p.m. in the conference room of the Hampton Inn in Washington. The board will discuss the summer flounder season structure, Commercial Fishing Resource Fund Board appointments, and Tradewinds as well as receive updates on many ongoing issues. NCFA will host a meeting Nov. 19 from 3-5:30 p.m. in the Pier House at the Hilton Garden Inn in Kitty Hawk to hear from fishermen and discuss priority issues before the commission’s public meeting. 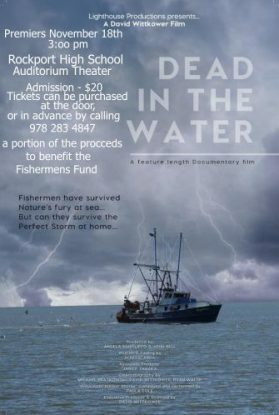 It is important that all commercial fishermen that are able attend! View the agenda and briefing materials. The 2014 election is history, and now begins the serious preparation for the North Carolina General Assembly’s long session, which starts on January 14th. All of the coastal legislators in the state legislature were re-elected. For the Congressional races: NC House Speaker Thom Tillis defeated incumbent US Senator Kay Hagan; Walter Jones & G.K. Butterfield both won re-election to the US House, and David Rouzer was elected to Congress, replacing Mike McIntyre in the southeastern part of the state. Beginning on Monday, September 1, if you fish gill nets in internal waters, you need a permit. 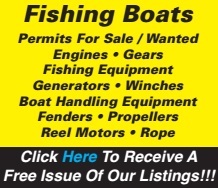 (Drift gill nets, strike, runaround or drop gill nets are exempt.) The permit wasn’t the Division’s idea, but came from commercial fishermen. 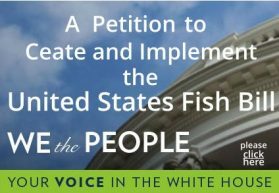 It was thought that if one of the requirements for the federal ITP in the fishery is to have 7 percent of large mesh trips observed, then rather than have more restrictions, why not devise a permit to make sure we get enough coverage. Without the coverage, the feds can shut down the fishery, so a permit can keep that from happening. If a fisherman refuses to take an observer, he can lose his permit. If you are fishing large mesh gill nets, don’t wait to be called to take an observer. Call DMF and volunteer if you haven’t taken an observer. Don’t let it up to a few to take observers. 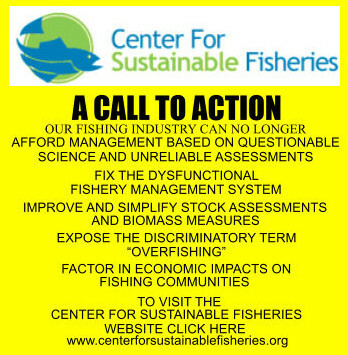 If everyone does their part, the burden can be spread around a bit and you can do your part in keeping the fishery open. One other point about fishing and turtles: If you have an interaction with a turtle while you’re fishing and you don’t have an observer, then call DMF and let them know. That’s better for all of us. You won’t get penalized for it and it’s something that should be done. Most fishermen check their pound nets daily for a number of reasons. One is the quality of the fish is better if fished frequently. NCFA encourages all pound net fishermen to check their nets daily, weather permitting. Fishermen should not be expected to risk their lives when checking their nets, but if the weather allows, we encourage you to check. It just makes sense, but most of you already know that. Senator Kay Hagan was always very helpful on federal fisheries issues. Her Chief of Staff in North Carolina has been Melissa Midgett from Wanchese, whose Dad is a commercial fisherman, and Melissa is well-versed in the challenges that commercial fishing families face. That personal connection with a US Senator will be sorely missed. However, as of right now we don’t know who Senator-elect Tillis will bring on for his staff folks. 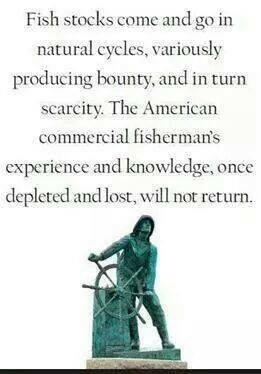 I read an opinion on Facebook that as a US Senator, Thom Tillis will destroy commercial fishing. I don’t share that opinion, but as I noted in reply, it’s my job to make sure he doesn’t. I’m confident that he and his staff will prove to be a positive for commercial fishing as we fight the heavy handed feds on many different fronts. 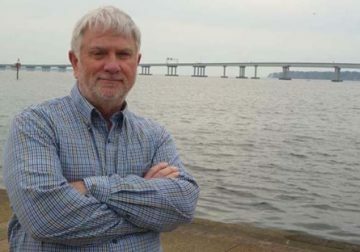 In the US House, Congressman Mike McIntyre was also very friendly to commercial fishing, but he decided to retire. His replacement, David Rouzer, will be super in my opinion. I’ve known him for quite a few years, beginning when he was a staffer for Senator Jesse Helms. David also worked with NC State University for a while and served two terms in the North Carolina Senate. G.K. Butterfield has represented the First Congressional District for 10 years. I’ve had very little interaction with his office, but what I have had has been disappointing. 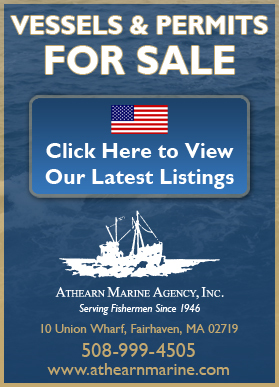 That’s partially understandable since none of his district borders the coastline, but he does represent a significant number of commercial fishermen living in the northeast part of the state. 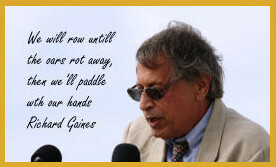 In addition, although I live in Craven County he’s my representative in Congress, so I expect just a bit more when asking his staff to do something rather simple. To be fair, I haven’t taken the time to seriously reach out to G.K. or his staff when they’re in the District. G.K.’s staff could take a lesson or two from the late, great Floyd Lupton when it comes to constituent service! On to state politics: You may figure that it’s all going to be the same since the coastal incumbents got re-elected. But you would be wrong! Gamefish proponents in the NC House, Tom Murry and Tim Moffitt were both defeated. Of equal significance for us is Senator Wesley Meredith from Fayetteville beat back a challenge by Billy Richardson. Richardson served previously in the NC House and was the primary sponsor of a net ban bill in the mid-90s. One of this year’s campaign promises from him was to make another attempt at a net ban a priority! 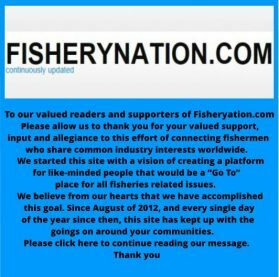 What about other gamefish sponsors? John Bell and Brian Brown were both easily re-elected, with John having no opposition, and Brian winning 60% to 40%. While we may not agree on all of the issues, I feel comfortable talking to both of them this coming session. 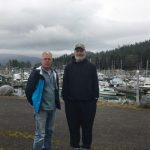 They were both freshman legislators this past session, plus the fact they have constituents that are, for the most part, not involved with commercial fishing and their constituents have differing opinions than ours. 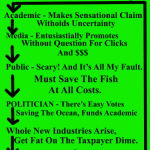 Taking that into consideration, one can understand, (well, kind of), why they sponsored the gamefish bill. I believe in dialogue. I also believe in putting things in perspective. I’ll continue to talk to these legislators on behalf of NCFA and commercial fishing families in a respectful, yet firm, manner. With God’s help, we’ll be OK.
Weekly Update for 9.19.2014 as a PDF There’s a lot going on! 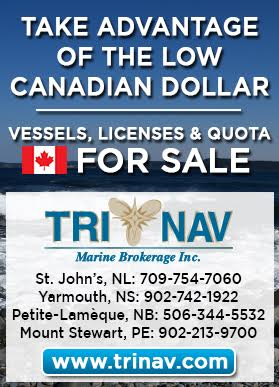 Greenland halibut quota increase to boost fishing jobs in N.L. 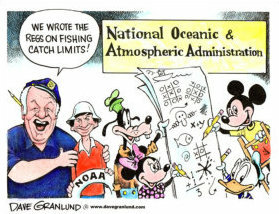 NOAA and the fishermen: Across the great divide? 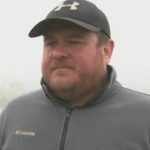 Wesley Loy becomes Pacific Fishing’s new editor – We wish him well!